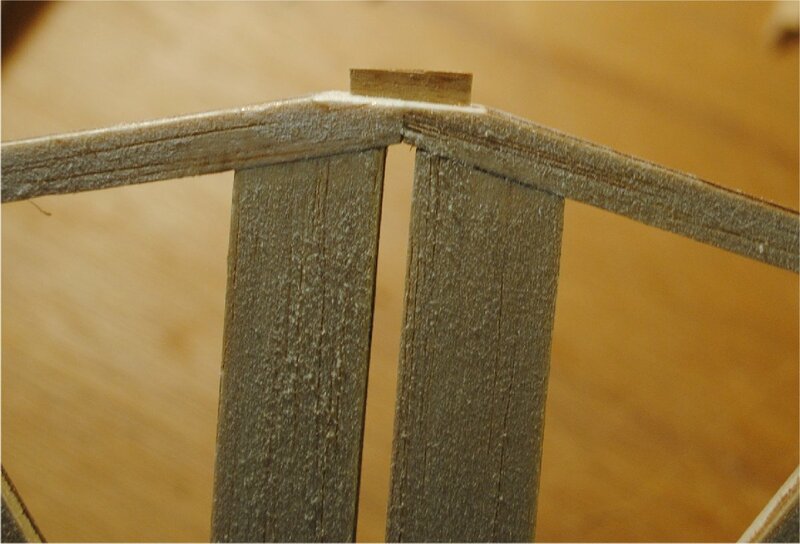 Notice that the center joint is just a couple of sticks end-glued together. This looks none too strong. 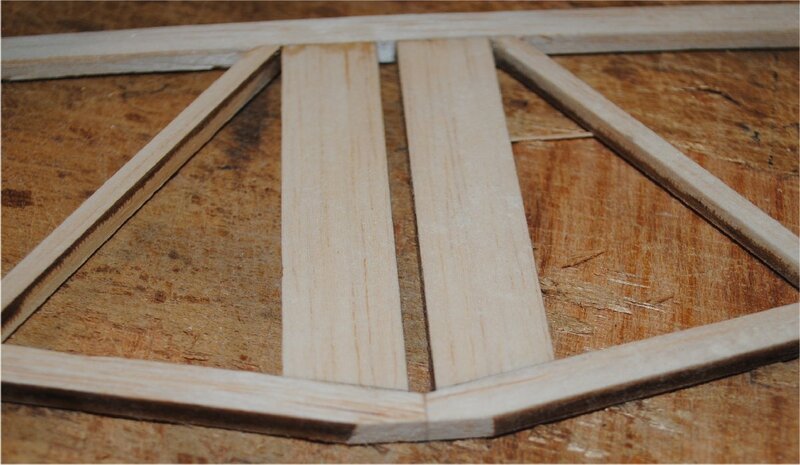 So I cut out a little piece of 1/64″ plywood to use as a joiner. 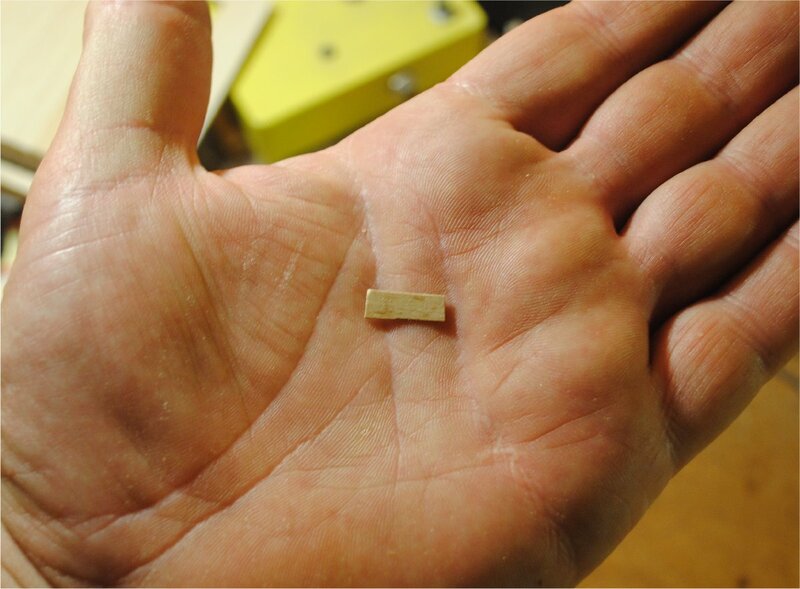 This is very thin wood that can be inserted into a slit made with an X-Acto knife. 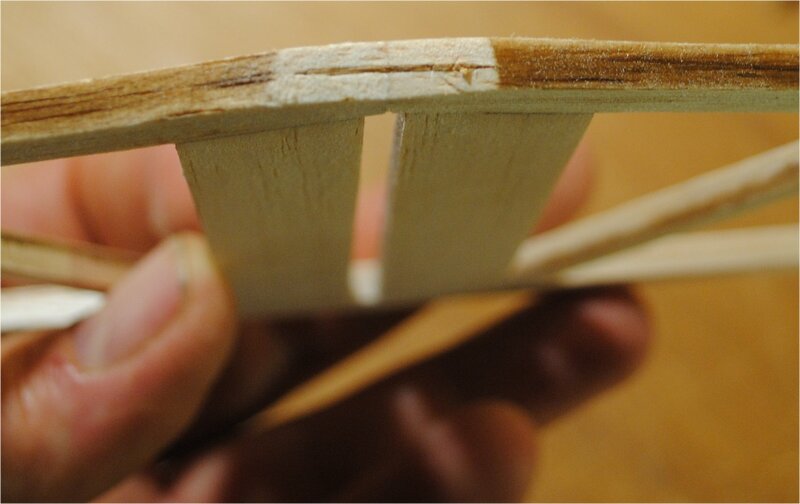 I didn’t remove any of the balsa wood, but if I were doing this to a larger plane I would probably take out some balsa and make a slot to accommodate the bulk of the hard wood joiner. Here’s a photo of the joiner being pushed into the slit. Here’s what it looks like after it’s pushed all the way in. I finished it by applying thin CA glue. I haven’t tested the strength of this joiner, but I’m sure it’s way stronger than the original design.